Let me just start off by saying we live in florida so we don’t get any snow. I have full on snow envy from people up north. All I can do is turn my Air conditioning down and turn the Television on the fake fire station and pretend its a white christmas. I mean that’s not too odd right? I have serious snow envy y’all. But what I can control is winter food. 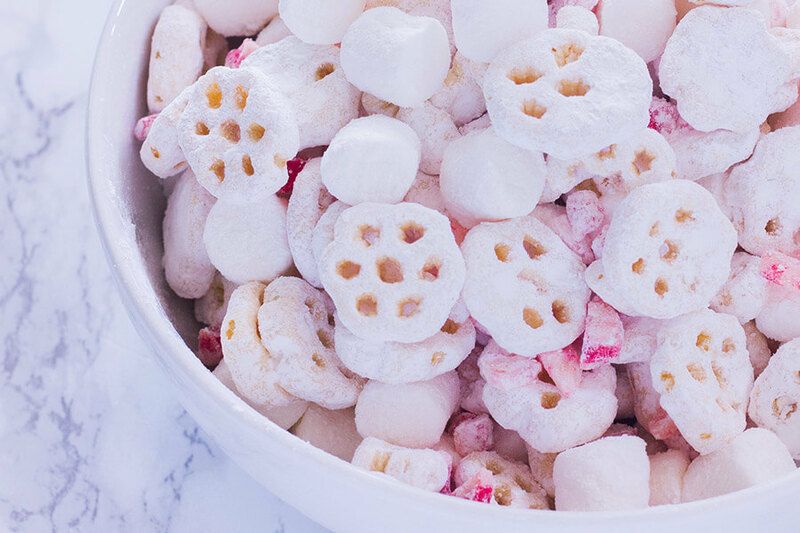 And nothing screams winter snacky type food like puppy chow. 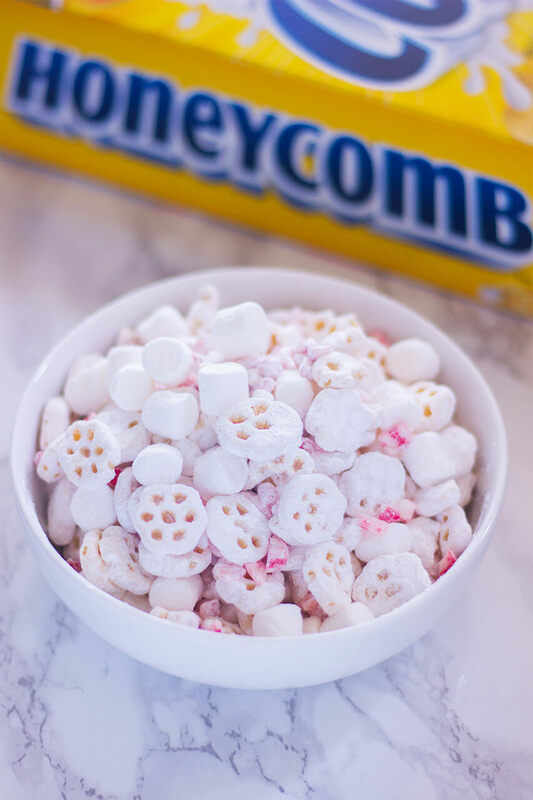 I loved the opportunity to use Honey Comb in this fun recipe. I get super excited anytime I get non granola cereals. Guys the excitement levels are on high with this post. 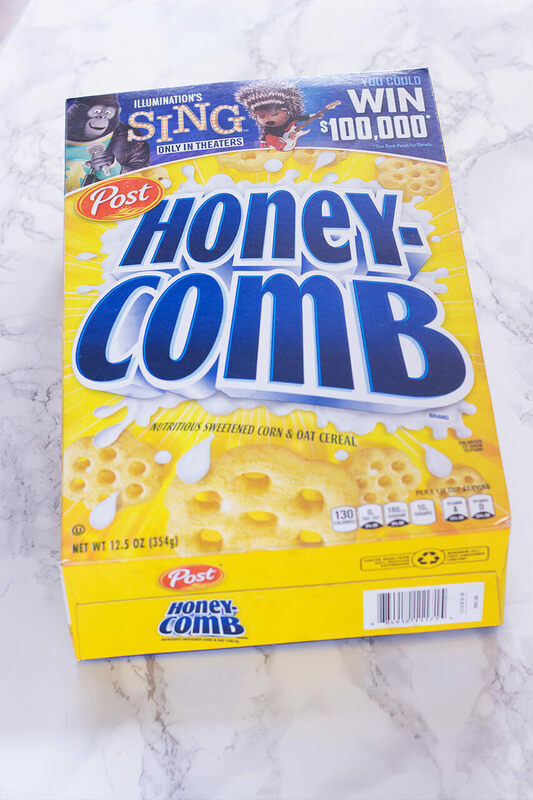 Honey Comb cereal has a SING© sweepstake that is so exciting. I can’t wait to see SING© in theaters starting December 21st 2016 with my family! Can we just have a lil pow wow about this super easy snack? 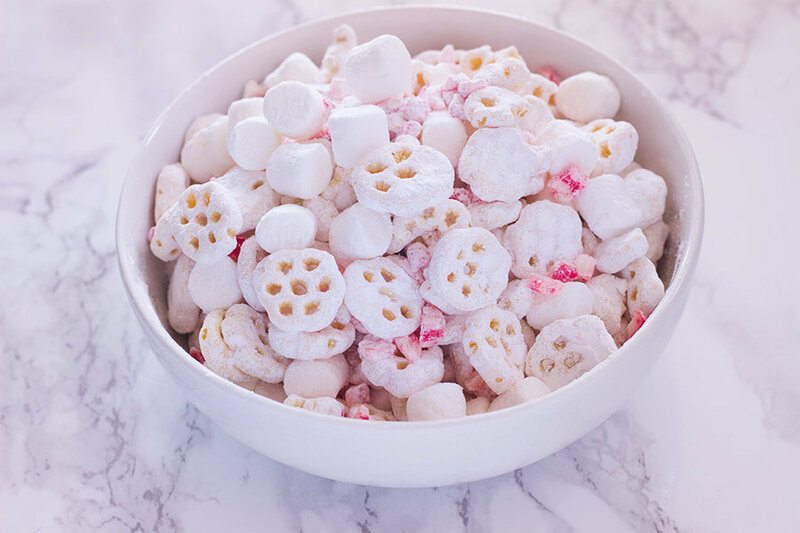 It has crunchy Honeycomb cereal covered in powdered sugar, Spicy peppermint chunks and fluffy mini marshmallows. It is just the perfect last minute snack. Tht just screams fun fun fun times! Yup fun times 3. And did I mention that most of this recipe is made in a zip lock bag. You know what that means….. easy clean up and I’m all for that. I love a no cook meal and no wash up clean up. I call that a win- win- win!!! Pour the cereal into a large bowl. Melt white chocolate in microwave for approximately 30 seconds or according to package direction. Pour melted chocolate over cereal, stirring and folding until the cereal is completely covered. Add in the crushed candy canes and stir. Pour the confectioners' sugar into a zipped-top bag. Pour the chocolate covered cereal and candy canes in the bag. Seal the bag and shake until all the cereal is coated with the confectioners' sugar mixture. Yes I’m already loving this easy recipe. Thanks so much just in time for Christmas!!! !